Magnolias (Magnolia species) are an integral part of the Southern landscape. There are about 125 species, some of which are native to the United States. Others are native to Mexico, Central America, the West Indies and Asia. Some are trees and others are tall shrubs. They may be deciduous, semi-evergreen or evergreen. They may bloom in early spring before leaves develop, or they may flower in summer when in full foliage. Magnolias are typically pollinated by beetles. The three main species discussed here are Southern magnolia (M. grandiflora), star magnolia (M. stellata) and sweetbay magnolia (M. virginiana). One hybrid has been singled out for discussion because of its popularity in South Carolina – saucer magnolia (M. x soulangiana). Others are briefly mentioned. All magnolias discussed are adapted to all areas of South Carolina. Magnolia grandiflora (Southern Magnolia) flower. Mature Height/Spread: Magnolias range from the small star magnolia to the massive southern magnolia. Growth Rate: The growth rate of magnolias depends on the species. Ornamental Features: Most magnolias are valued for their showy, fragrant flowers, large glossy leaves and striking fruit. Most flowers encountered tend to be white, pink or purple. They may be small (3-inch diameter), with thin, strap-shaped petals (star magnolia), or large (12-inch diameter), with wide petals (Southern magnolia). Magnolias may not bloom for many years after planting if grown from seed. One seedling may not bloom for 15 to 20 years, while another may bloom in three years. Note: The petals and sepals are fused in magnolia flowers. Therefore the correct terminology for these colorful floral parts is tepals. The tepals are arranged in 2 or more whorls of 3 to 6 tepals each. Leaf size ranges from small (2 inches long and 1 inch wide), as with star magnolia, to large (10 inches long and 4 inches wide), as with Southern magnolia. They are usually dark, lustrous green on the upper side, but may be light green, fuzzy reddish-brown or even silvery on the lower side. The leaves are arranged in an alternate fashion on the stems. The fruit aggregate or seed cone size ranges from 1 to 8 inches. In some species, these seed cones may be distorted in shape or knobby due to irregular flower fertilization. They are reddish and fuzzy and at maturity, open to expose bright red-orange seeds beginning in the early fall (September through November). The fruit is attractive to wildlife. Nearly mature, reddish Magnolia grandiflora fruit aggregate (seed cone). The bark of most magnolias is smooth and silvery-gray. This is especially attractive in the winter landscape. Landscape Use: Magnolias may be used as specimens, screens, patio trees, hedges, border accents and even container plants. There is such a wide variety of form and size that landscape use is dependent on the species being used. The ideal soil for most magnolias is rich, porous, acidic (pH 5.5 to 6.5) and well-drained. Most tolerate moderate drought and some tolerate wet soils. Magnolias should be planted in full sun or partial shade. The soil in the planting bed should be amended with leaf compost at planting. Problems: Most magnolias are generally pest-free. They may be troubled by various types of scales, which can infest twigs and leaves. They are also subject to algal leaf spot. Control is not generally warranted. Magnolias are generally soft-wooded and may be prone to breakage in ice storms. The bark is thin, and easily damaged by mowers and string trimmers. As pruning wounds may not heal well, shaping should be done early in the life of the tree to avoid big cuts. Prune after flowering. Magnolia roots tend to girdle (circle the trunk or root ball). Cut any circling roots, especially if located at the top of the root ball or close to the trunk. The root system spreads wider than most trees. For this reason, transplanting magnolias is difficult, as so much of the root system is lost. Field-grown trees are best planted in late winter or early spring. Plant container-grown trees in the early fall for best for best root establishment. Large leaves with rusty brown lower leaf surfaces of Southern magnolia (Magnolia grandiflora ‘Bracken’s Brown Beauty’). Mature Height/Spread: Southern magnolia, also known as Bull Bay, is a handsome evergreen tree that will grow 60 to 80 feet tall and 30 to 50 feet wide. It is densely pyramidal, symmetrical and low-branching when young. The form is more irregular at maturity. The form of seedlings varies considerably. Some are open with a lot of space between branches, others are very dense. Some are as wide as they are tall, others are more columnar. Growth Rate: The growth rate is variable, depending on the seedling, but generally it grows at a slow to medium rate (1 to 2 feet yearly), but faster when young. It responds to water and fertilization with faster growth. It is a long-lived tree. Ornamental Features: This tree is valued for many features: beautiful, fragrant flowers; dark lustrous leaves; striking fruit and overall size and stature. The flower is creamy white, large (8 to 12 inch diameter), solitary and very fragrant. It blooms in May and June, but some cultivars bloom sporadically throughout the summer. The leaves are large (5 to 10 inches long, 3 to 4 inches wide), dark green and lustrous on the upper side. The lower side may be light green, or fuzzy and rusty brown. This is the indumentum, which is the dense hairy covering on the lower leaf surface. The fuzzy, brown fruit is 3 to 8 inches long. The bright red-orange seeds are exposed September through November. Many bird species feed on the ripened fruit while they are still attached to the seed cones. The fruit and seed cones fall in November and December. Mature fruit aggregate (seed cone) of Magnolia grandiflora with pendulous red seeds. Landscape Use: The Southern magnolia requires a lot of space, and should be reserved for large properties. It can be used as a lawn specimen, screen, or, with smaller, dense cultivars, as a hedge. Preferred soil conditions are as previously mentioned. 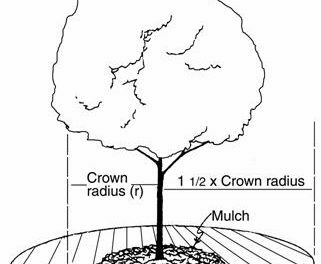 This tree tolerates occasional wet conditions; some cultivars tolerate moderate drought if allowed enough space for root growth. The roots of a mature Southern magnolia may extend up to 3 times the reach of the limbs. If soil is moist, or irrigation can be provided, this tree thrives in full sun. Otherwise, plant the tree in partial shade. Problems: This tree is mostly problem-free. However, scales may infest leaves and twigs, and beetles may bore into or lay eggs in branches. Greedy scale (Hemiberlesia rapax), tea scale (Fiorinia theae), and scurfy scale (Chionaspis furfura) have been diagnosed as pests on Southern magnolia in South Carolina landscapes. These armored scales cause yellowing of foliage followed by leaf drop and twig dieback. Typically these scales are pests of magnolias near the coast. Late winter and early summer sprays with horticultural oil will control these scale pests. Use a 2% spray solution (5 tablespoons horticultural oil per gallon of water). Twig girdler (Oncideres cingulata) is a small grayish-brown beetle that damages twigs by chewing partially through the twig and inserting eggs. Later, the twigs fall to the ground and are the food source for the developing twig girdler larvae. Pick up and dispose of fallen twigs to aid in control. Black twig borer (Xylosandrus compactus) is a small black ambrosia beetle that attacks many species of trees. These beetles typically bore into 1-inch diameter branches and carry with them the ambrosia fungus. Eggs are laid, and the developing larvae feed on the growing ambrosia fungus. New beetles emerge from the twigs in the early spring. Unfortunately, this fungus is a pathogen of tree tissues, and these branches die from the point of borer infestation outward. Prune out 3 to 4 inches below where branches are damaged, and burn or dispose of prunings immediately. Primarily, black twig borer damage has been diagnosed in the lower half of South Carolina. In humid climates, leaves may develop leaf spots, such as algal leaf spot. For more information, please see HGIC 2060, Algal Leaf Spot. Leaves are shed as new foliage appears. Unless lower limbs are left on the tree, this leaf litter is unsightly, and often removed by homeowners. Lower limbs are often removed in order to mow beneath the tree. When planting, allow enough space so the lower limbs can drape the ground, hiding the fallen leaves, which will provide necessary nutrients as they decompose. The thick, upright branching habit and dense foliage makes Magnolia grandiflora ‘Alta’ almost appear to be a large shrub. Cultivars: Please note that there seems to be a significant amount of variation about the mature size of each Southern magnolia cultivar as stated in the literature from various growers. Alta® (PP #11612; ‘TMGH’) – This cultivar has extremely thick, upright branching habit with dense foliage. Dark green leaves have light rusty colored undersides. Grows to 20 to 25 feet tall and 9 to 10 feet wide. Fragrant white flowers to 10 inches in diameter. ‘Bracken’s Brown Beauty’ – This tree is compact and dense, possibly 30 feet tall. The leaves are small (6 inches), with dark, lustrous upper, and rusty brown lower leaf surfaces. The fragrant flowers are 5 to 6 inches in diameter. ‘Claudia Wannamaker’ – This is a vigorous grower with a medium broad pyramid form that is more open than ‘Bracken’s Brown Beauty.’ Leaves are dark green with rusty brown undersides. Blooms at an early age and grows to 50 feet tall by 40 feet wide. DD Blanchard™ – This is a large cultivar that grows to 50 feet tall and 25 to 30 feet wide in a pyramidal form. The leaves are shiny green and the leaf undersides are a light rusty orange. It has 6 to 8 inch diameter, fragrant white flowers. ‘Edith Bogue’ – This has a tight pyramidal form (30 feet tall and 15 feet wide). Leaves are narrow, dark green and tan. Blooms at an early age. ‘Green Giant’ – This large cultivar grows to 50 to 60 feet tall and 30 feet wide in a pyramidal form. The foliage is a shiny green with green leaf undersides. ‘Kay Parris’ – This is a small cultivar (20 feet and 10 to 15 feet wide), so smaller than ‘Little Gem’, but faster growing. Shiny leaves have waved margins and coppery velvet undersides. Has 7 inch diameter flowers and blooms at an early age. Compact, upright growing habit of Magnolia grandiflora ‘Teddy Bear’. ‘Little Gem’ – This is compact and upright, more like a dense shrub (20 – 35 feet tall and 10 feet wide). Leaves are small (4 inches) and lustrous, dark green and bronze. Flowers are small (4-inches in diameter). Blooms at an early age and sporadically throughout the growing season. Teddy Bear® (PP #13049; ‘Southern Charm’) – This is a compact, upright growing tree with a reddish-brown indumentum (dense hairy covering) on the lower leaf surface. Grows to 20 feet tall and 12 feet wide. Plants will be more compact in full sun. It has 6 to 8 inch wide, white flowers. ‘Majestic Beauty’ – This is a large pyramidal tree (35 to 50 feet tall and 20 feet wide). Leaves are large and flowers profusely. Flowers are 12 inches in diameter. ‘Samuel Sommer’ – This tree is fast growing, with an upright, ascending habit (35 to 40 feet tall and 30 feet wide). Leaves dark green and bronze. Large flowers (to 12 inches or more in diameter). ‘St. Mary’ – This has a compact, somewhat flat habit. It is easily trained for espalier. Early, profuse flowers. Leaves dark green and deep bronze. Mature Height /Spread: Star magnolia is a dense, oval-to-rounded deciduous shrub or small, multi-stemmed tree that grows 15 to 20 feet tall and 10 to 15 feet wide. Growth Rate: It is a slow grower (3 to 6 feet over 5 to 6 years). Cold hardy to USDA zone 5. ‘Waterlily’ star magnolia (Magnolia stellata) flower. February and March before the leaves appear. Star magnolias can be damaged by freeze, although they are not as sensitive to cold as the saucer magnolia. (Late-blooming cultivars are available.) The leaves are dark green on top and light green underneath, and show little change in color in fall before dropping. Landscape Use: This tree may be used as a lawn specimen, border accent, or patio container plant. Ideal soil conditions are the same as previously mentioned. This tree doesn’t tolerate shade and should be protected from late winter winds that may damage open flowers. Avoid placing this tree in a southern exposure where flowers will open early. Problems: As with most magnolias, this plant is mostly pest-free. Deciduous magnolias are susceptible to powdery mildew. Rake up and dispose of dropped foliage in the fall to aid in control. 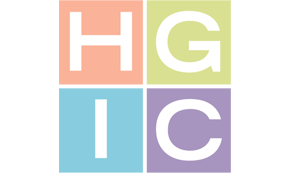 For more information, please see HGIC 2049, Powdery Mildew. ‘Rosea’ – (Pink Star Magnolia) – Flower buds are pink, fading to a white flower. Good form and vigor. More than one clone has this name, so buy this plant in flower to ensure desired color. ‘Waterlily’ – Very fragrant pink buds open to white, 5-inch flowers. This plant is late-blooming. Saucer magnolia, a hybrid of M. denudata and M. liliifolia, is usually a large, spreading shrub or small, low-branched tree with wide spreading branches. It will grow 20 to 30 feet tall and wide. It is deciduous. Growth Rate: It has a medium growth rate (about 1 foot per year). Ornamental Features: It is valued most for its early display of flowers. The large white flowers (5 to 10 inches) shaded with pink and purple open in March and April (possibly February along the coast) before the leaves appear. These early blooms can be damaged by early frost. Late-blooming cultivars are available, although the flowers may not be as showy. Leaves are medium green on upper and lower sides. They show little color change in fall. Saucer magnolia (Magnolia x soulangiana) flowers. Landscape Use: This shrub/tree is an excellent selection as a specimen, container plant and espalier. It works well in groupings. Although it prefers full sun, it tolerates partial shade. As with star magnolia, avoid planting this tree in southern exposures, as bloom will occur earlier. Ideal soil conditions are as previously noted. This tree tolerates occasional wet soil and moderate droughts. Prune drooping branches if located near a patio or walkway. To increase canopy density and flowering, prune aggressive branches after flowering. Problems: Saucer magnolias are generally pest-free. They may be troubled by various types of scales, which can infest twigs and leaves (see above under problems of M. grandiflora). They are also subject to algal leaf spot and two-spotted spider mites. For more information on algal leaf spot, please see HGIC 2060, Algal Leaf Spot. Spider mites can be controlled with sprays of insecticidal soap or 2% horticultural oil. Deciduous magnolias are also susceptible to powdery mildew. Rake up and dispose of dropped leaves in the fall to aid in control. Please see HGIC 2049, Powdery Mildew for more information. ‘Brozzonii’ – A large plant (25 to 30 feet tall) with large white flowers, lavender-pink at the base. A late bloomer. May not be as fragrant. ‘Grace McDade’ – This plant has a loose, shrubby habit. Flowers are large, white inside and lavender-pink outside. ‘Lennei’ – This stiff, broad shrub has huge flowers, white inside with dark purplish-magenta outside. It flowers late, and usually sporadically into the summer. The leaves are larger than most. ‘Rustica Rubra’ – This is possibly a seedling of ‘Lennei,’ but is a larger and looser shrub. Flowers are rose-red with white inside. ‘San Jose’ – This is an early bloomer with large, fragrant, rosy purple flowers. A vigorous grower. ‘Speciosa’ – This late-flowering, dense tree has white blooms with flushed purple at the base. ‘Verbanica’ – This is a slow-growing late bloomer. Flowers are rose pink outside, with white at the tips. Young plant blooms profusely. Mature Height/ Spread: Sweetbay magnolia is usually a single-trunk tree, sometimes a multi-stemmed round shrub. It is usually deciduous in the Piedmont and semi-evergreen or evergreen in the remainder of the state. It can grow 40 to 50 feet tall and 15 to 25 feet wide. 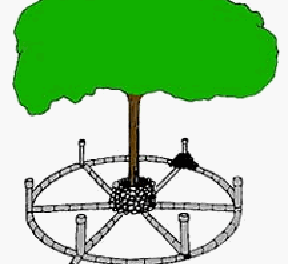 Growth Rate: This tree grows at a moderate rate (1 to 1½ feet per year). Ornamental Features: The flowers are small (2- to 3-inches in diameter), creamy white and lemon-scented. They bloom in May and June; some bloom through September. This tree may be slow to flower in youth. The leaves are dark green with a silver underside. They are especially attractive when the wind blows. The bark on older, larger stems is silvery-gray and bright green on new twigs. The small fruit are green with red seeds. Landscape Use: The branches of sweetbay magnolia grow upright, making this tree ideal for outdoor living areas – decks, patios and pools, as well as lawn specimens and border accents. This tree grows freely in coastal areas, and is often found along stream banks and swamps. Although it flourishes in moist soil, it will tolerate moderate drought. It requires acid, well-drained soil, and full sun or partial shade. Problems: This tree has few problems. Scales may infest foliage and twigs, especially in dry areas where the tree may suffer stress (see above under problems of M. grandiflora). As with other magnolias, mechanical damage and breakage from ice may cause problems. Moonglow® (PP #12065; ‘Jim Wilson’) – This cultivar, named after the late host of the Victory Gardens television show, is more vigorous growing than the species, and has larger flowers. Its ivory white flowers are 4 inches wide with a lemon scent. Grows to 20 feet tall and 18 feet wide. Large, white fragrant flowers form in late May on bigleaf magnolia (Magnolia macrophylla). Magnolia acuminata (Cucumber Tree) – This is a very large native tree (50 to 70 feet tall, 40 to 60 feet wide). It has small, inconspicuous flowers, light green leaves (6 to 10 inches long) and unusual cucumber-shaped fruit, which turns from a bright green to red in autumn. This is a hardy tree and a rapid grower and is best used in natural areas. Magnolia fraseri (Fraser’s Magnolia) – This native magnolia is also known as the fishtail magnolia because of the lobed fishtail-like base to the 12 inch long leaves. The flowers are large, white and fragrant. Fraser’s magnolia may be found in the mountainous Upper Piedmont SC counties. Magnolia pyramidata (Pyramid Magnolia) – The pyramid magnolia is a rarely encountered native tree to the coastal regions of the state. The leaves and flowers are quite similar to Fraser’s magnolia, but smaller. Magnolia macrophylla (Bigleaf Magnolia) – This tall tree or shrub (30 to 40 feet) has the largest leaves and blooms of any hardy native North American tree. Leaves are 1 to 3 feet long, and the fragrant flowers are 10 to 12 inches in diameter. This tree is rare in South Carolina, and has a preference for calcareous soils with a soil pH near neutral. Immature fruit aggregate and large leaves of a bigleaf magnolia (Magnolia macrophylla). Magnolia tripetala (Umbrella Tree) – This native, deciduous tree grows to 15 to 30 feet tall. The leaves are up to 20 inches long, and the flowers are creamy-white and up to 11 inches in diameter. Immature fruit aggregate (seed cone) developing on an umbrella tree (Magnolia tripetala). The flowers open after the leaves have emerged in the late spring. This species grows well in partial shade to full shade. Magnolia figo (Banana Shrub; formally Michellia figo) – Recently, plants in the genus Michellia were transferred to the genus Magnolia. These large shrubs grow to 10 to 20 feet tall and 10 to 15 feet wide, and bloom in late April through early May. The species is divided into 3 naturally occurring varieties, M. figo var. figo, M. figo var. skinneriana, and M. figo var. crassipes. The flowers (tepals) of the first two varieties are pale yellow and may be edged in reddish-purple. Those of the latter variety are completely purplish-red to dark purple. There are several cultivars of banana shrub available. All are very strongly scented of bananas. Banana shrubs are native to China. Banana shrub (Magnolia figo var. figo) in bloom. Magnolia laevifolia (formally Michellia yunnanensis) – This evergreen shrub or small tree grows to about 12 feet tall, and has brown buds that open to sweetly fragrant, white flowers. There are several cultivars available. Some are smaller shrubs, and have a brown indumentum (a dense hairy covering) on flower buds, stems and lower leaf surfaces. The brown buds of Magnolia laevifolia open to white fragrant flowers. Magnolia x ‘Butterflies’ (PP #7456) – This cultivar is a cross between selections of M. accuminata and M. enudata. The flowers are a buttery yellow. The upright tree may grow to 25 feet tall and 10 feet wide, and flowers in the spring before the foliage appears. The deciduous Magnolia ‘Butterflies’ has yellow flowers that open during late March before the foliage appears. The ‘Little Girl’ hybrids (Ann, Betty, Judy, Randy, Ricki, Susan and Jane) are hybrids of M. liliiflora and M. stellata. These cultivars are later flowering than both the star and saucer magnolias, and their blooms are less often damaged by late spring frosts. Deciduous, hybrid magnolia (Magnolia ‘Jane’) flowers. These ‘Little Girl’ cultivars are hybrids produced by the US National Arboretum and released in 1968. These hybrid cultivars grow to 15 feet tall, and begin blooming just before the foliage appears. The cultivars are listed in order of flowering time, and their flowers range in color from reddish purple to pink. The cultivar ‘Jane’ is one of the most common of the group, with very fragrant flowers – reddish purple on the outside and white on the inside.